Tiket.com is one of the largest OTAs (Online Travel Agents) in Indonesia that provides and facilitates online ticket ordering and purchasing for accommodations, transportation, events, and attractions. Tiket.com allows users to find information on your products, place an order, and make secure online payments through various payment systems and advanced booking facilities. To activate Tiket.com, approval must first be requested. The channel requires activation requests to come directly from myallocator's channels page or from a Tiket.com Market Manager (Market Managers must send an email to support@myallocator.com). An activation message will be sent to tiket.com directly! NOTE: Ensure that the email entered is checked often and ideally the one associated with you Tiket.com extranet account. Once the request has been sent, the channel status will change to 'Awaiting Activation' while Tiket.com processes this request. When Tiket.com confirms the connection, they will email the myallocator support team with a Hotel Key and we will enable the connection for you. Do not worry, you will receive an email notifying you that Tiket.com is ready for mapping! 2. If you have correctly completed the steps above, Tiket.com will be displayed on your channels list as 'Ready for mapping'. Click on the yellow button to proceed. 4. 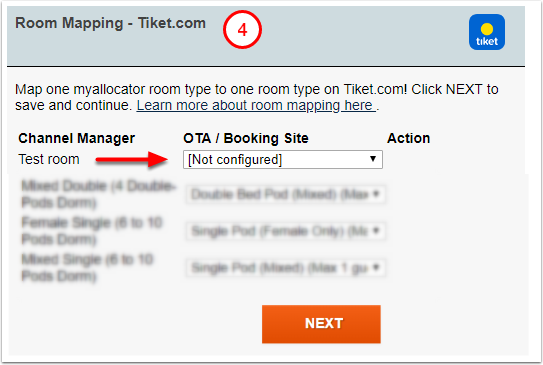 Select the Tiket.com rooms from the dropdown so they correspond to myallocator rooms and click NEXT when completed. 5. 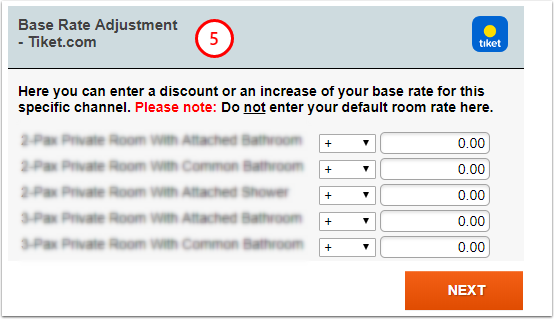 Add Base Rate Adjustment for each room type if needed. Click NEXT when completed or if you want to skip. 6. 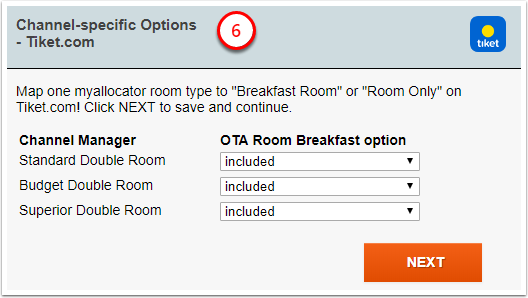 Tiket.com requires properties to specify if breakfast is INCLUDED or EXCLUDED (extra charge) in the rates being sent from myallocator to the channel. 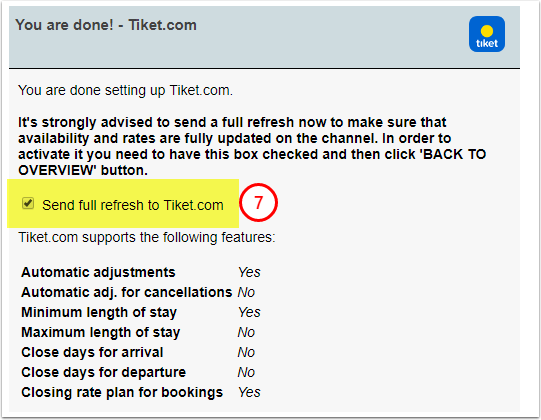 This value must match the breakfast option setting selected on the tiket.com extranet or you will experience an issue in channel sync. Which features does this channel support? Can I simply send an email to myallocator support team requesting Tiket.com activation? No. To activate Tiket.com, approval must first be requested. The channel requires activation requests to come directly from myallocator's channels page or from a Tiket.com Market Manager. 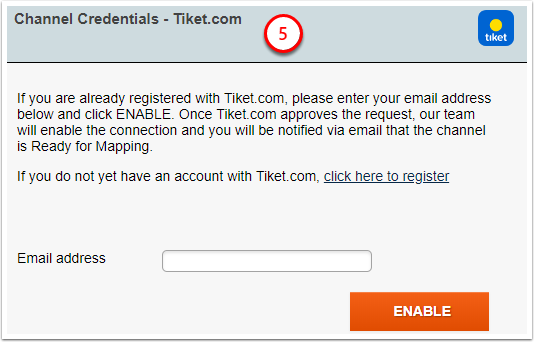 Please follow the Step 2 from this article to request Tiket.com activation correctly.